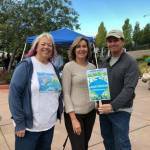 AUBURN, Calif. Sept. 15 2018 – Today, over 1,000 volunteers worked together to remove nearly nine tons of trash from the rivers, lakes, and streams of the Sierra Nevada region as part of the tenth annual Great Sierra River Cleanup. 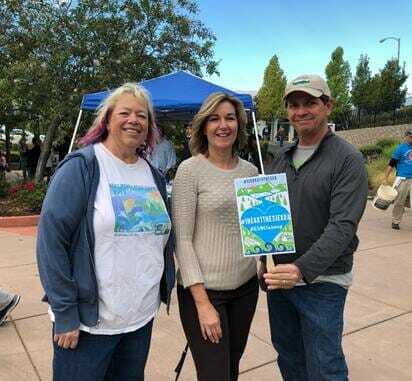 This event, coordinated by the Sierra Nevada Conservancy and held in partnership with California Coastal Cleanup Day, serves to promote good stewardship throughout the state’s watersheds, from the Sierra to the sea. Some of the items collected today include shopping carts, mattresses, tires, and more. A plastic Spiderman car, vintage orange typewriter and several high heeled shoes were some of the more unusual items discovered. The Great Sierra River Cleanup kicks off Sierra Nevada Watershed Protection Week, established in 2015 (ACR 22, Dahle) to highlight the importance of the Sierra Nevada region to the entire state. The Great Sierra River Cleanup would not be possible without the hard work of dozens of local community groups, our partners at the California Coastal Commission, and our sponsor, Pacific Gas & Electric. Results from this year’s event, a list of participating organizations, and additional event information are available atwww.sierranevada.ca.gov. Photos will be shared on Facebook, Twitter, and Instagram.